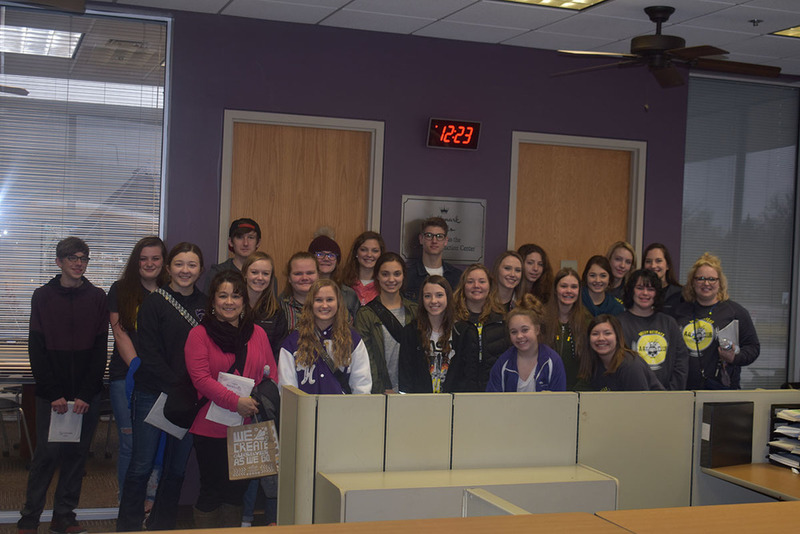 One of the most commonly used Hallmark quotes is, “Life is short, but it’s long enough to get plenty of laughing and playing done.” This inspired Art Club students last Friday, January 11th as they toured the Lawrence Hallmark Card Factory. Students got to see exactly how each individual card is made from beginning to end. Following the tour each student was given a packet of four Hallmark cards as a souvenir. “Getting to tour the factory was an amazing experience. The process is so in depth and unique, it was a very inspiring trip.” said Cora Jones. Soph.